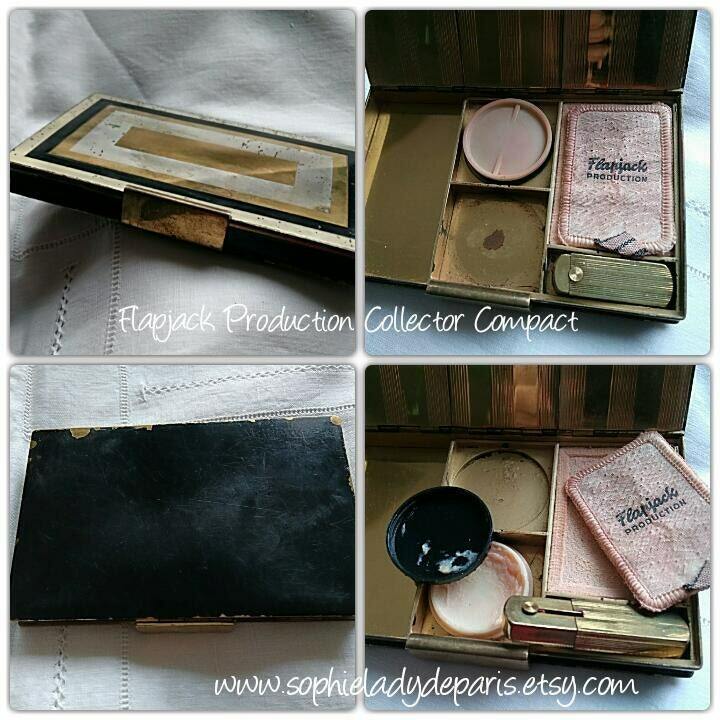 Flapjack Production 1940's Art Deco compact . 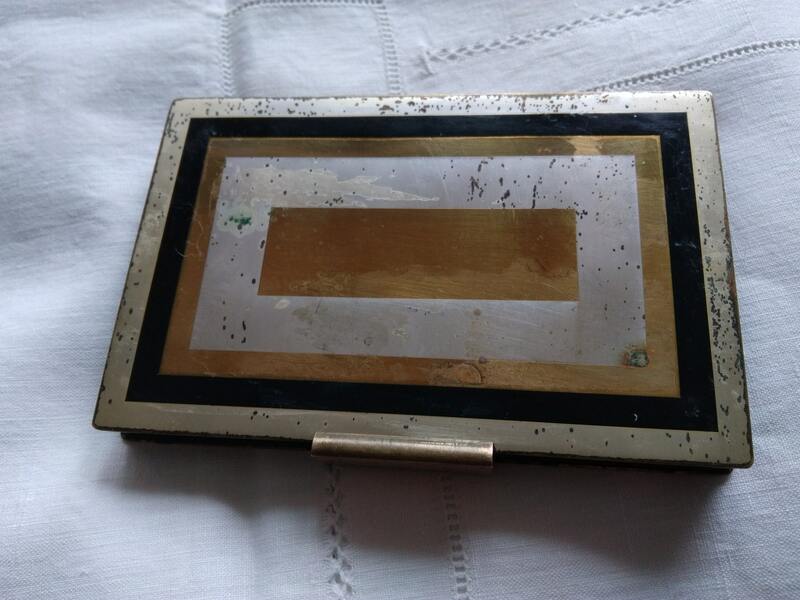 Black and Gold Compact and Mirror Case. 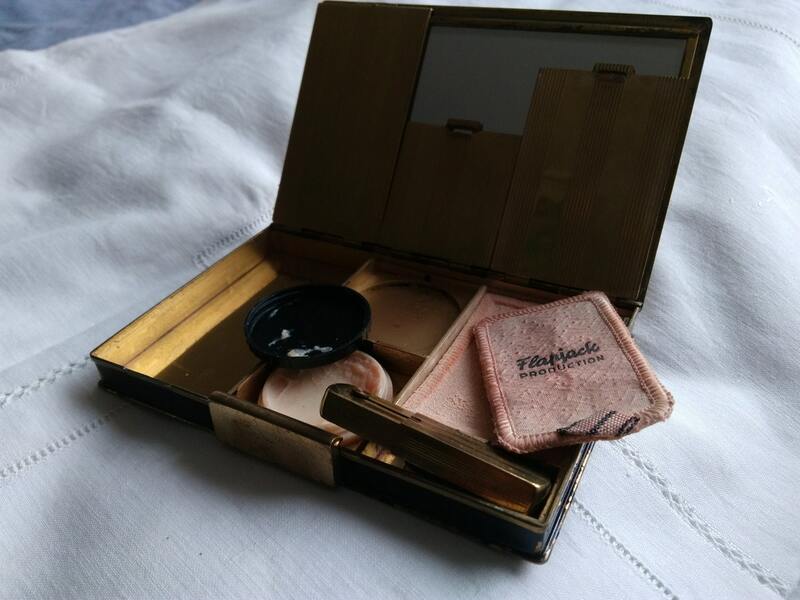 A few compact powder remains inside, and cosmetics. Compact puff powder is marked "Flapjack Production". 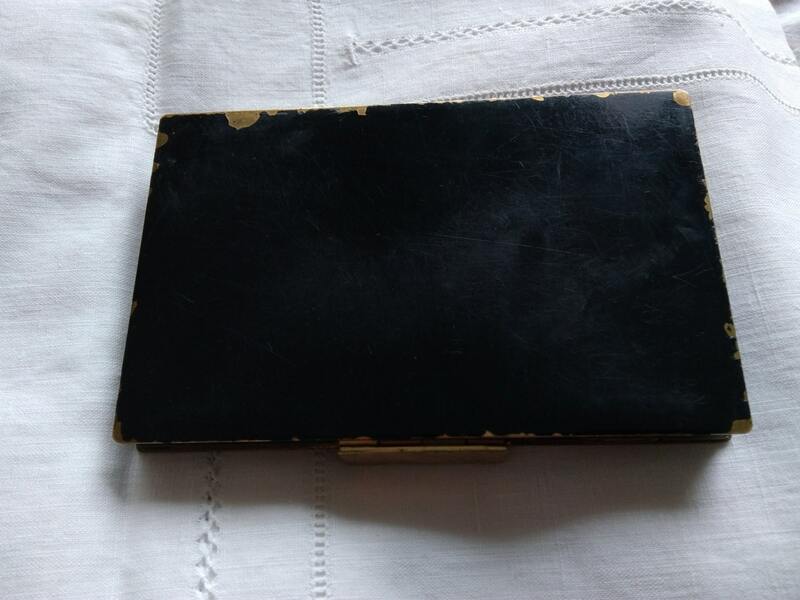 Cover is in Vintage condition, inside is in good condition. Weight : 239 g = 8,43 oz. 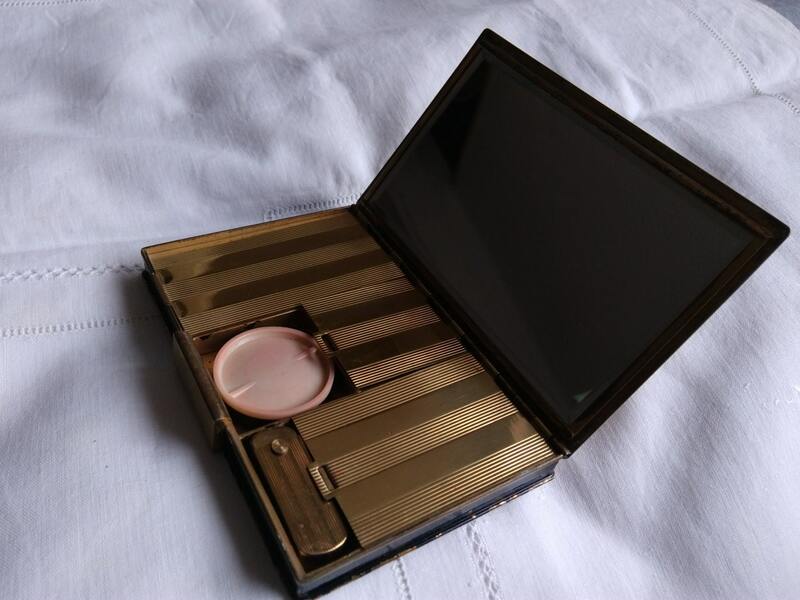 Beautiful Flapjack Production collector compact.